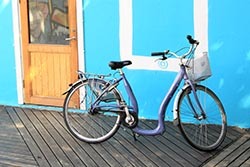 With a population of under 200,000 this capital city of island country has all the charms of a model town... colourful homes, clean streets, attractive shop facades, creative street graffiti, a size big enough for an efficient public transport system and small enough to explore the charms on foot. I was in Iceland for a 10-day photo tour. The country is blessed with a wonderful landscape. It is home to waterfalls, glaciers, rugged mountain terrains, black lava fields and green pastures. They say, a picture is worth a 1000 words. Well, I have over 1000 pictures shot mostly in the southern part of Iceland. You may want to check my feature under the subject. I arrived a day earlier and left a day later than scheduled for the tour. 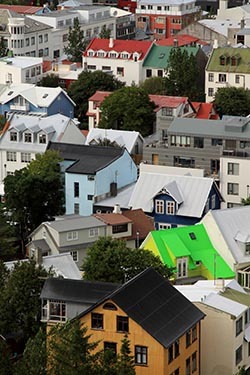 That gave me just about 2 days to explore Reykjavik. And because it was summer, the days were really long. There was enough light from 4 in the morning till 11 in the evening. Keflavik is Iceland’s international airport. It is well connected with various European and US destinations. I took a flight from Amsterdam. In just about 3 hours I landed at Keflavik at 3PM. Iceland’s currency is Kroner. At the time of writing USD1 got me ISK125. It’s a good idea to carry ISK because other international currencies are not accepted at most of the places. The country was just recovering from a major financial crisis. The government out there is rather strict with how the locals handle foreign exchange earnings. However, the good side, from an international traveller’s perspective is that a weak ISK makes things look not all that expensive. Reykjavik Excursions have shuttle bus service that drops you to your hotel (most of them are covered) or at the BSI bus terminal. The one way fare is ISK 2500 or 1900 respectively. Feel free to book your seat online. The shuttle service is timed as per arrival and departure times of all flights. The service is very efficient and reliable. The company and few others offer excursions and trips to discover Iceland. The ride to town is about 50 minutes. From the central bus station, smaller vehicles drop the passengers to their respective hotels. I was booked at Hotel Leifur Eiriksson. It’s a family run property that doesn’t boast of 5-star standards. They offer free internet and coffee all day long. Their location is fantastic. 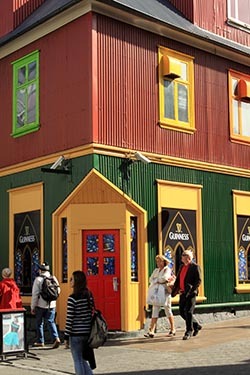 It faces the Reykjavik icon Hallgrimskirkja Church and is walking distance from the centre of the town which has all the attractions, museums, shops, galleries, government buildings and of course scores of restaurants offering cuisine of the world. Talking of restaurants, make it a point to visit Loki Restaurant, just next door to Leifur Eiriksson. It’s famous for its Icelandic food. Fish and lamb meat are the national favourite. When in Iceland, one can also enjoy whale meat (steaks are very popular) but to refrain from trying them is only a request. When I was around, a few volunteers were campaigning against killing of whales. Well, it’s your take. After checking in and freshening up, I was ready to explore the town. My first stop, and quite obviously was just across the street. The Hallgrimskirkja Church. A fee of ISK600 gives you access to the viewing galleries on the top of the church. This is one sight you shouldn’t miss. The view from up there is fantastic and puts your bearing in place. Hallgrimskirkja Church is Reykjavik's main landmark and its tower can be seen from almost everywhere in the city. 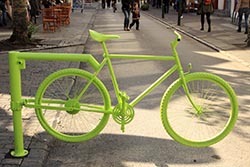 It is located at the top of central arts and designs shopping street Skolavordustigur. 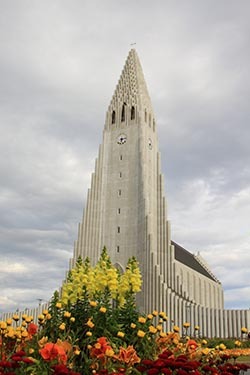 It is the largest church in Iceland, and the 73-metre high church tower offers a stunning view. The concrete building was designed by former state architect Gudjon Samuelson and is meant to resemble volcanic basalt rock formations. The church was built over 40 years and opened in 1986. It is named after Reverend and hymn writer Hallgrimur Petursson. In front of it is a statue of Iceland-born Leifur Eiriksson, aka 'Leif the Lucky', the first European to discover America around 1,000 A.D... well before Columbus! The next objective was walking the Old Town. The next few hours I explored many streets and by-lanes of Reykjavik. I was delighted to see the lovely houses painted bright and in pastels, facades of shops and of course, the very creative street graffiti. They actually added to the charm of the town. I spent plenty of time exploring the many streets namely Skolavordustigur Street, Laugavegur Street, Frakkastigur Street and many by-lanes. My walks took me through the main city square, Government House, City Hall and to the beautiful Tjomin Lake. My dinner that evening was Icelandic soup and freshly baked bread. 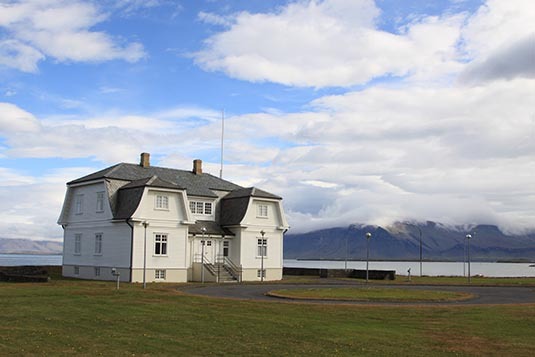 Reykjavik City Hall is an impressive building on the northern shore of Lake Tjornin. Stark and modern, it is the neural centre of Reykjavik, connecting nature, water and bird life to the centre of town. 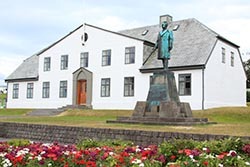 Opened in 1992, it houses the Mayor and executive officials of Reykjavik. By the time I reached my hotel it was 9PM. Light was still bright. Not used to sleeping when daylight’s around, I forced myself counting sheep. The next morning I need to be ready, with bags packed at 8AM. My 10-day photo tour was calling. My Icelandic tour ended on the 10th day. I again checked in at Hotel Leifur Eiriksson. It was just 1PM. That gave me the rest of the day and the next morning to explore Reykjavik that I had missed on day 1. The afternoon I spent walking in other streets in centrum. I visited the Parliament House, The Government House, the Main Square and streets around the Harpa. The next morning, I began early. I would be walking for the next 4 hours or so. I walked along the seafront and the Voyager all the way up to Hofdi House. I turned back towards the harbour and Harpa. From thereon it was a walk all the way near Perlan or Pearl. Reykjavik is surrounded by sea, and its waterfront paths are perfect for a leisurely stroll, some jogging, cycling or rollerblading. 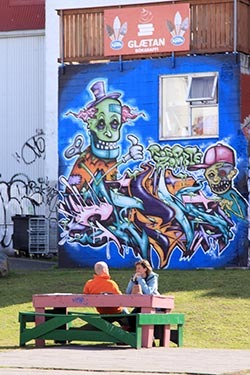 The city's northern waterfront is a popular area, with a beautiful view of Reykjavik's landmark mountain, Mt. Esja. 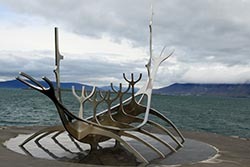 The striking sculpture Sun Voyager by Jon Gunnar Arnason, a massive steel creation made to resemble a Viking ship is located here. Hofdi House, built in 1909 would arguably be the most beautiful building of Reykjavik. It is best known as the location for the 1986 summit meeting of presidents Ronald Reagan and Mikhail Gorbachev, a historical event that effectively marked the end of the Cold War. Hofdi House was initially the house of the French consul in Iceland and still bears many signs of its original purpose. Among other renowned guests of Hofdi House are various celebrities and heads of state including the Queen of England, Winston Churchill and Marlene Dietrich. In addition, the house is believed to be occupied by a ghost, "The White Lady", experienced by a former British Ambassador who once occupied the house. She tried his nerves so badly that he persuaded the British Foreign Office to sell the house. 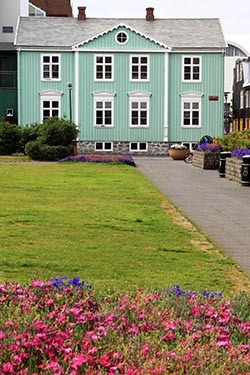 Today, Hofdi House is owned by the City of Reykjavik and is currently used for official receptions and meetings. Harpa - Reykjavik Concert and Conference Centre opened its doors on May 4th and celebrated its final opening ceremony in August 2011 when the building was formally inaugurated. Harpa provides outstanding facilities in the centre of Reykjavik and is an ideal venue for various concerts and musical events, international conferences, conventions and trade shows. Harpa's façade is designed by renowned artist Olafur Eliasson, Henning Larsen Architects and Batteriio Architects. The design is based on a geometric principle, realized in two and three dimensions. Reminiscent of the crystallised basalt columns commonly found in Iceland, the southern facades create kaleidoscopic reflections of the city and the surrounding landscape. The Pearl, also known as Perlan is a remarkable building, built in 1988, unique in Iceland and probably in the whole world. On Oskjuhlid hill, atop the huge tanks in which natural hot water is stored for heating the city, a glass dome has been constructed. Under the dome is a rotating restaurant serving fine cuisine. The dome also houses a café, while around the outside is a viewing platform with panoramic 360 degree views of the city and its surroundings. Access to the viewing platform is free of charge. Below the dome, between the hot-water tanks, is a spacious atrium where various exhibitions and other events are held. Inside the building is a small artificial geyser which spouts every few minutes. Interestingly, one of the tanks does not contain hot water, but a museum - the Saga Museum where waxwork figures bring Viking-age Iceland to life. Had I more time on hand, I would have loved to visit the Videy Island, Mount Esja and the Blue Lagoon for a dip in the thermal pools. Well that was it. My shuttle bus would pick me up at the hotel doors at 1:30PM. My flight back home would leave at 4:30PM.